A California native, Mr. Chambers was born in June of 1953. He received his undergraduate degree at the University of Redlands in 1975 and his Juris Doctor as Western State University in Fullerton in 1978, where he was included on the Dean’s List his final year. Western State University currently has graduated over 11,000 attorneys into practice. Their Hall of Fame includes less than 100 of these graduates. Mr. Chambers was inducted in 1994 and is recognized as one of its most distinguished alums. Regionally recognized he has spent a great deal of his personal time over the years protecting and advancing the rights of the injured victim in the California legislature by being an active member of the California Trial Lawyers Association, the Consumer Attorneys of California, the Orange County Trial Lawyers Association, the American Trial Lawyers Association, American Board of Trial Advocates, the Orange County Bar Association and Trial Lawyers for Public Justice. He served as President of the Orange County Trial Lawyers Association in 1990 and as Vice-President of the California Trial Lawyers Association in 1994, 1995, 1996 and 1997. He was also the president of the Orange County Chapter of The American Board of Trial Advocates (ABOTA) in 2004. Mr. 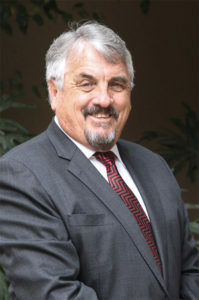 Chambers has tried cases in two different states, twenty different courthouses and in eight different counties throughout California during his thirty year litigation career. Willing to travel in pursuit of victim’s rights he has been admitted pro hac vice and handled cases in Washington, Oregon, Nevada, Arizona and Hawaii. In 2001, for his continued representation of negligence victims, Mr. Chambers was awarded the Orange County Personal Injury Trial Lawyer of the Year by the Orange County Trial Lawyers Association. Mr. Chambers is a frequent lecturer and author having given lectures and presentations for the American Board of Trial Advocates, California Trial Lawyers Association, the Orange County Bar Association, Orange County Trial Lawyers Association, the State Bar of California, the Consumer Attorneys of California, the National Business Institute and the University of California at Irvine. He has had articles published by the California Trial Lawyers Association, Orange County Trial Lawyers Association, Orange County Bar Association, National Business Institute and Bancroft Whitney. Mr. Chambers holds the highest rating (AV) available by Martindale-Hubbell, has been granted “recognized experience” status by the California Trial Lawyers Association in the fields of Trial Lawyer, General Personal Injury, and Products Liability. He has been recognized in more than four Who’s Who Lists including Who’s Who in American Law. In September of 1999 he became Board Certified in Trial Advocacy by the National Board of Trial Advocacy, an honor which less than four thousand lawyers nationally have received. He was included in Martindale Hubbell-Bar Register of Preeminent Attorneys in 2005, and has been recognized as a “Super Lawyer” by Los Angeles Magazine in both 2006 and 2008. Gary Chambers is married, lives in South Orange County and has four adult children. For four years he served as the Head Football Coach at Saddleback Valley Christian High School where his teams have compiled a 33 and 13 records and won four straight league championships. He was named Western Athletic Conference Coach of the Year in three of his four years.